I became a little bolder with pattern mixing. 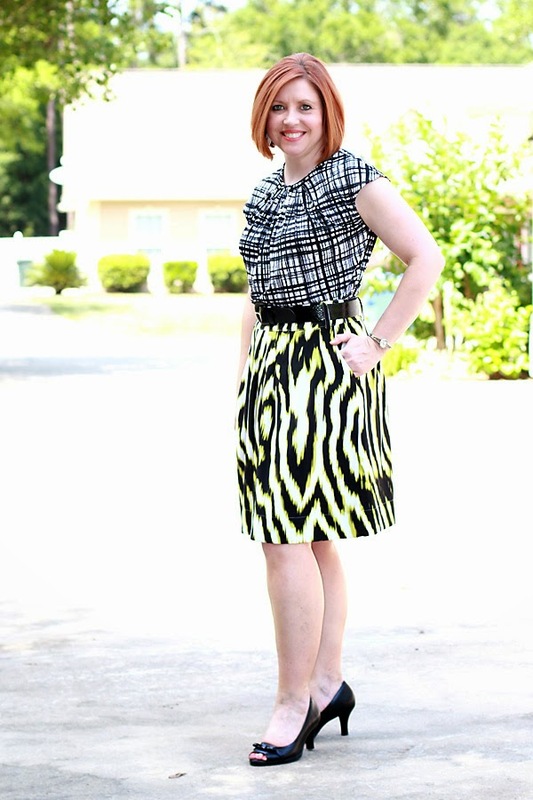 Pattern mixing with bold prints absolutely works when you stay in the same color family. Disclosure: This post contains affiliate links from which I earn a commission. I realize this isn’t for everyone, and I wouldn’t do this every day, but I like how well these pieces work together. 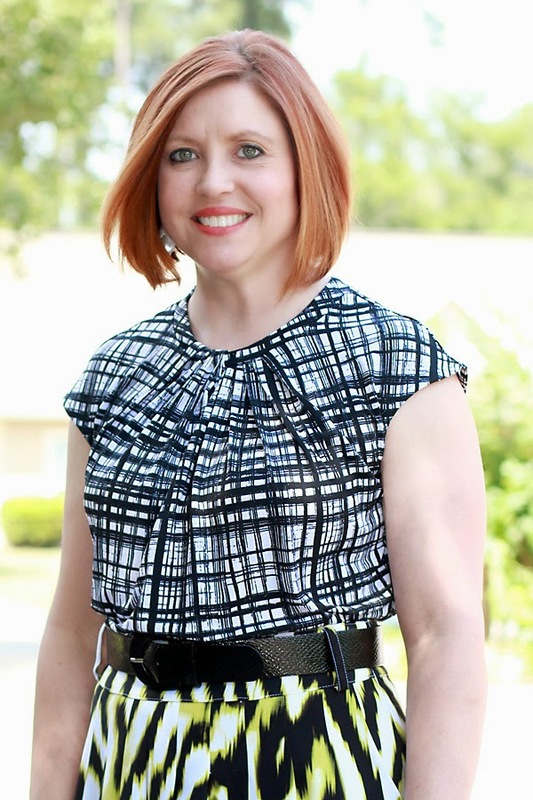 I was actually inspired by the online JCP catalog showing this top with a patterned skirt. 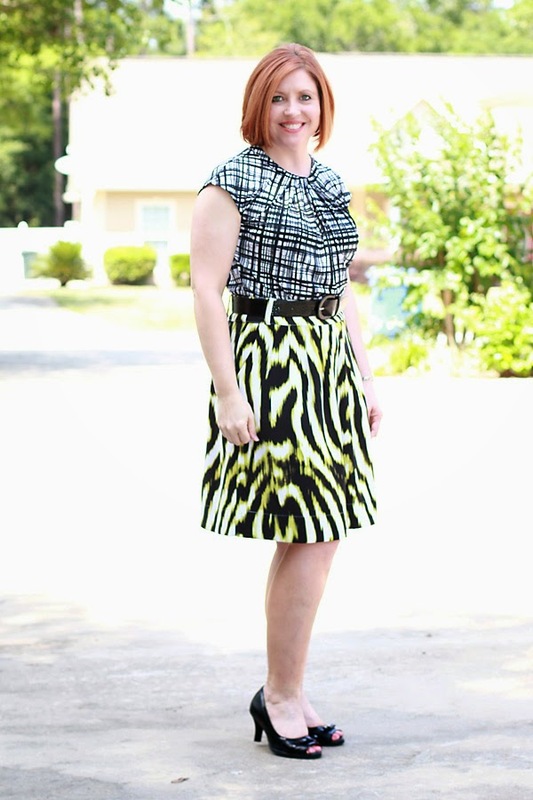 The top is pretty neutral and the skirt has a pop of color. The black in both pieces ties this together. A black blazer would completely tie this together and make it a little more conservative for work. By the way, I allowed myself one substitution after thirty days in my capsule and this is it. I replaced the patterned pencil skirt with this one. That other skirt just doesn’t fit well and isn’t comfortable. Even if it fit well, it’s too high waisted for my short torso. So be looking for the other skirt on Poshmark soon if you are interested.